Nitin Tomar, who starred for the side in the first match was sensational once again. 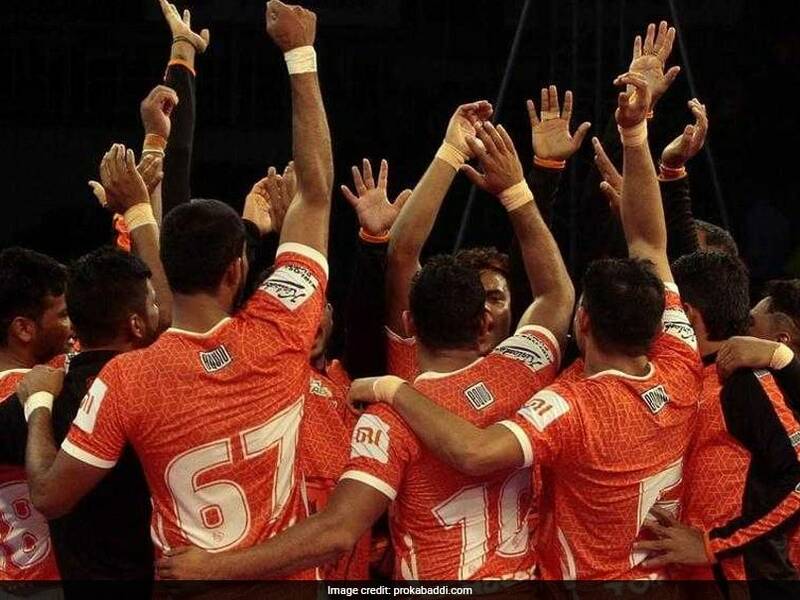 Puneri Paltan rode on their confidence-boosting come-from-behind tie against U Mumba to record a facile 34-22 victory over Haryana Steelers on the second day of the Pro Kabaddi tournament at the packed Jawaharlal Nehru Indoor Stadium here on Monday. Pune inflicted two all outs on their rivals in each half to continue their dominance over Haryana. Last season, Pune defeated Haryana Steelers in two of their three encounters and both wins against Haryana came with a comprehensive margin of 10-plus points. Nitin Tomar, who starred for the side in the first match was sensational once again, bagging seven points (five raid points, two bonus points) while More G.B. chipped in with his all-round efforts (four raid points, two tackle points). Deepak Dahiya had a good day too for Pune, scoring five points (four raid points, one bonus point). Defensively, Ravi Kumar was solid with three tackles points. For Haryana, Vikas Kandola got eight points (seven raid points, one bonus point) but others failed to support him. 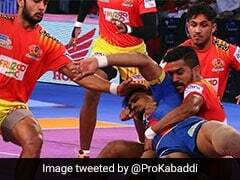 Haryana started well with Kandola sending the dangerous Tomar out of the mat to earn the team's first point. Tomar got a bonus point on way out to help Pune open their account. Haryana then opened up a 4-1 lead which lasted for a short while as Pune clawed back to take the lead for the first time. Wazir Singh made a successful raid followed by the Pune defence sending Vikas Kandola and Anand Surendra Tomar out of the mat to make it 3-4. More G.B. made it 4-4 with a successful raid as Anand Surendra Tomar failed once again to hand Pune a slender 5-4 lead. The see saw battle continued as Haryana regained their lead only for Pune to catch up. More G.B. effected two tackle points too to go along with his two raid points before Tomar, who was in superb form on Sunday against U Mumba, inflicted an all out on Haryana to take a 14-8 lead. The gap was widened to 15-9 by halftime with Haryana having their task cut out post the breather. Tomar had an injury scare early on in the second period but fortunately for Pune their star man did not have to leave the mat. There was no change in script though as Pune kept the pressure on Haryana who could never come close to taking the upper hand despite Kandola's efforts. Surender Nada (four tackle points) and Sunil (three tackle points) also tried hard to take out Pune raiders but in the end the margin proved to be too big after the second all out which took the score to 30-17.